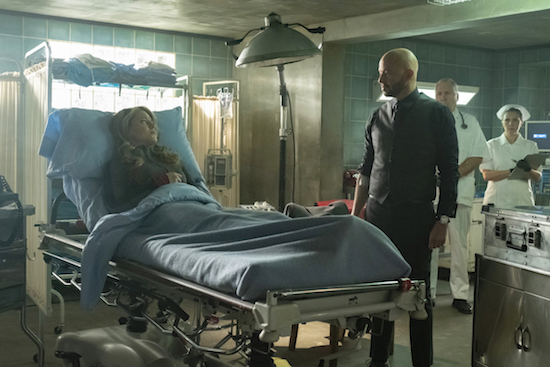 With Lex Luthor (Jon Cryer) on the run, SUPERGIRL will be flashing back to some of the supervillain’s mayhem on the Sunday, March 24 episode of The CW series. Supergirl -- "The House of L" -- Image Number: SPG416a_0039r.jpg -- Pictured (L-R): Melissa Benoist as Kara/Supergirl and Jon Cryer as Lex Luthor -- Photo: Katie Yu/The CW -- ÃÂ© 2019 The CW Network, LLC. All Rights Reserved.